So...my son just outa the blue asked for something doing to his room! He's never asked or requested, or even *not requested*, anything particular for his room before! 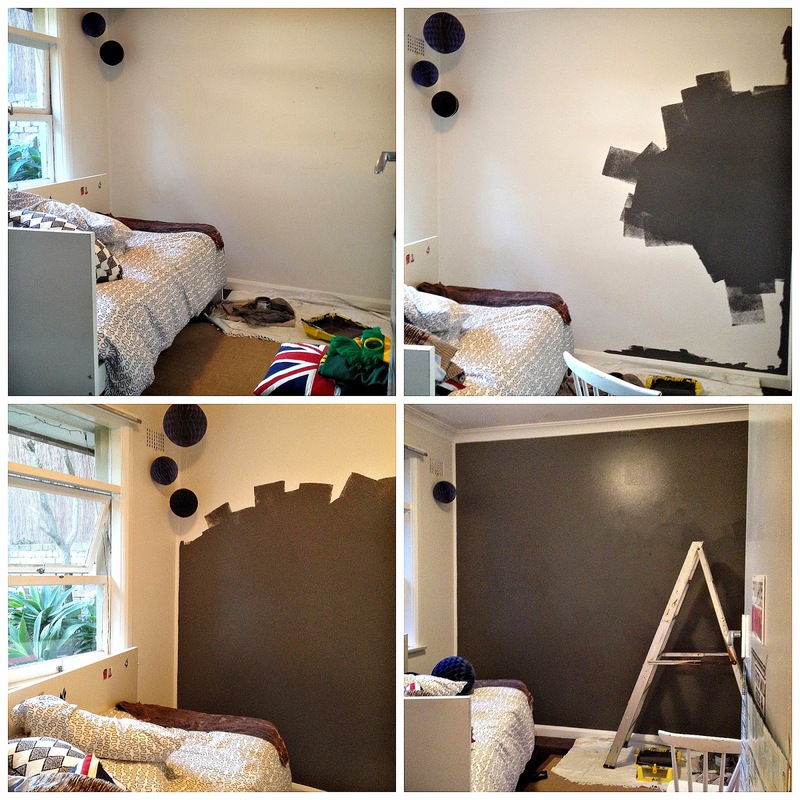 His request was a dark, dark, dark grey blackboard wall! He was a little worried about the open ended only one guideline direction of our request...but he went off on his mission focused on darkest of greys with a very small colour sample! We moved the entire room to one side, lay drop sheets, brought up the ladder and made Sol up a spare bed for the night in his sister's room. As a bit of a *one-hit-wonder* when it comes to wanting something done NOW...I actually acknowledged that this would take two coats, over two days to really look the part- blackboard paint needs to be even and heavy- done in layered coats, not all at once. I did good. Two days. Three coats. Done. 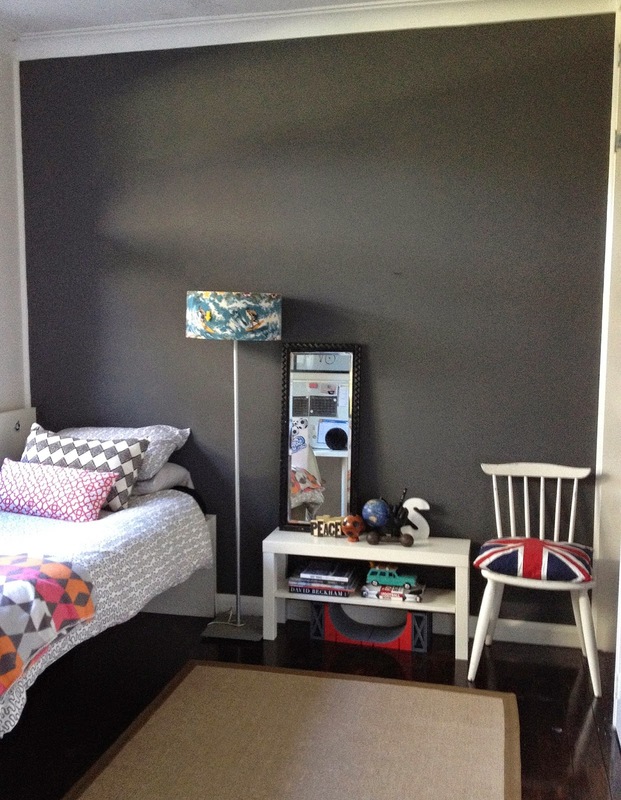 The colour is a fabulous deep, dark tone that shows up the actual elements that make up his room in a way I didn't expect. 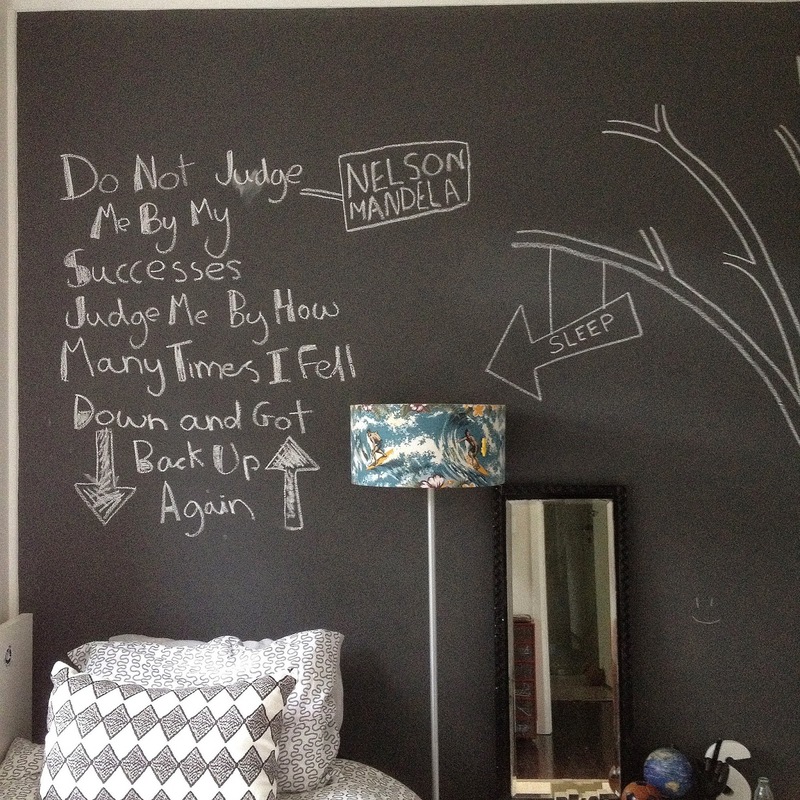 We loved the clean sharpness of the wall so so much- that even he couldn't bring himself to use it as a blackboard for a good week! But the temptation proved to much in the end- and I returned home from a market shop to this fantastic wall of thought and creativity! It's my favourite wall in the house at the moment! I just smile every time I walk past his door. Thirteen with a room you truly want...he's happy...I'm frigging delighted! 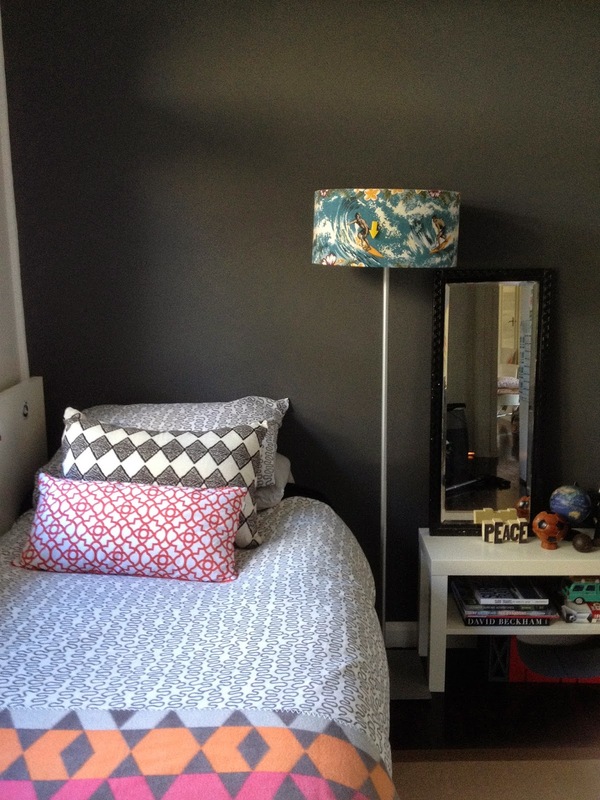 Dark grey is the new whatever in our house! 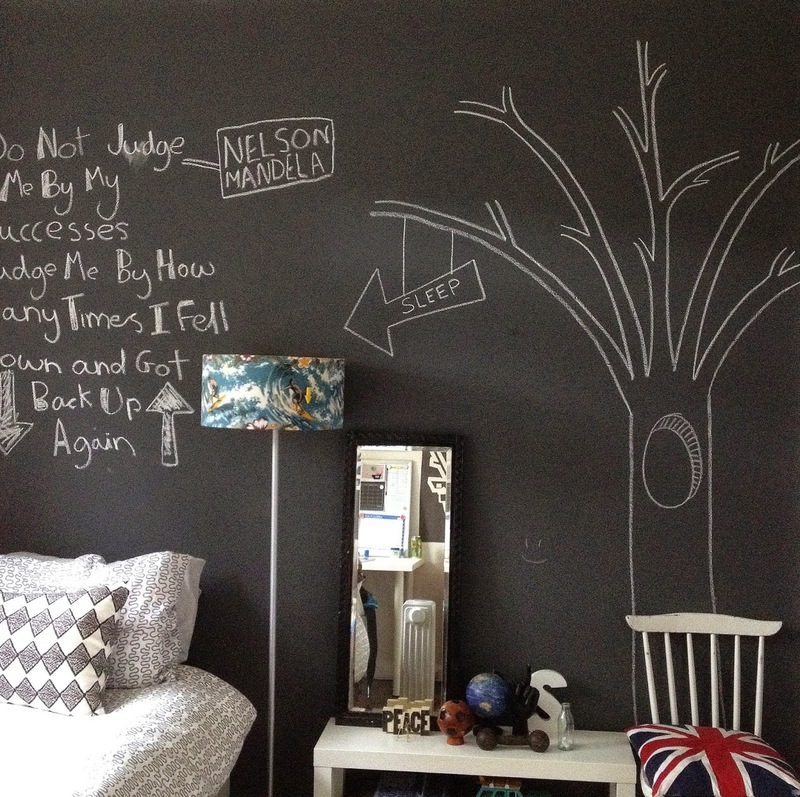 Believe me- EVERY home needs a chalkboard wall! Wow, this looks incredible.....amazing job! I really love the depth of the colour.